Check out this amazing 6 bedroom, 5 bathroom mansion on the beautiful Delancey Street in Philadelphia. Built in 1863, it could be yours for $2.75 million! Use my free phone/iPad app to search what’s going on in the market via easy to search maps! Chevron has definitely been making itself more known in the design world in the last year, and for some reason this pattern = $$$. Thanks to the blog of The Every Girl, (http://www.livecreatingyourself.com), I discovered RugsUSA and their wayyy affordable chevron rug. You can get a 7’10″x10’10” for $108! Click the photo to shop! If you’re thinking of moving, or just curious what the market is like where you live, definitely check out the new Prudential website. It’s super easy to do a quick search in whatever area you’d like and look at some pictures! I stumbled upon Chairloom (based locally in Ardmore!) and am now itching to learn how to reupholster. You can buy pieces from them and pick out fabric, bring your own pieces, or buy a totally completed piece. I especially love these X benches- click on the picture to get to their site! 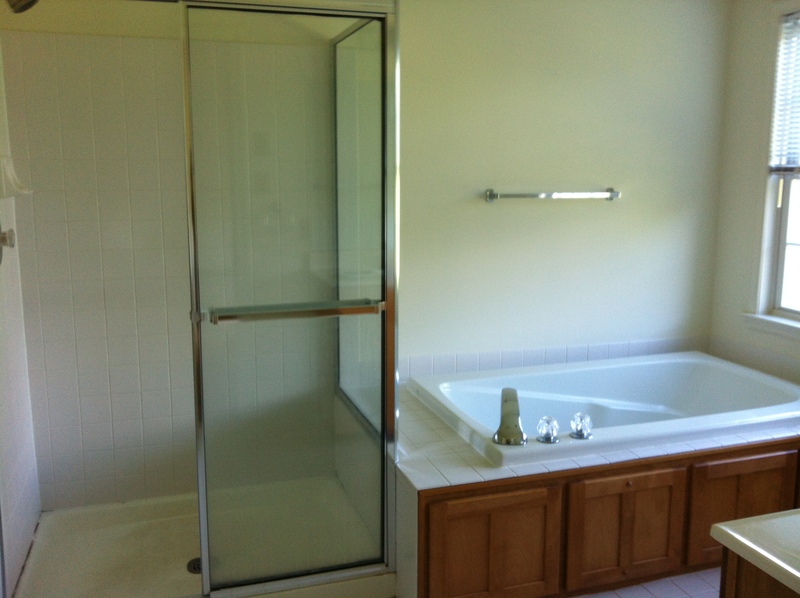 This is part 2 of the town home renovation. 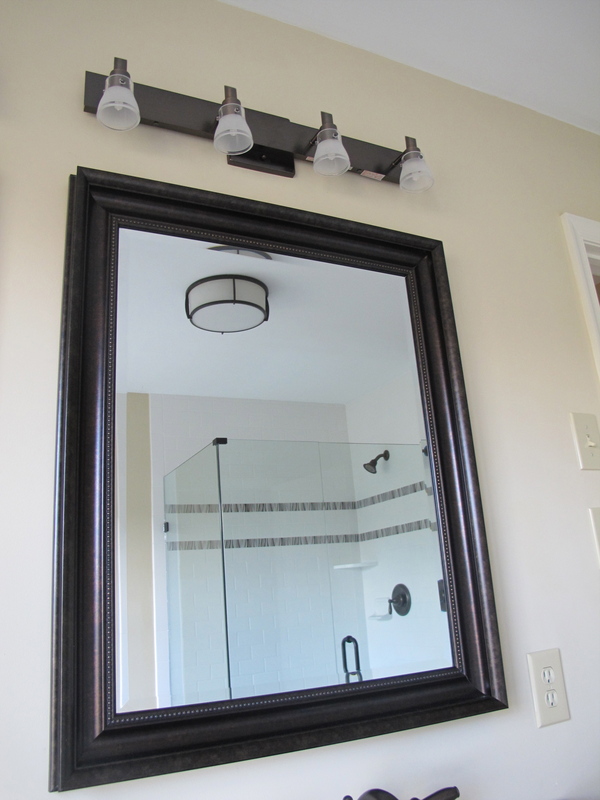 Last week was the master bath, today its light fixtures! 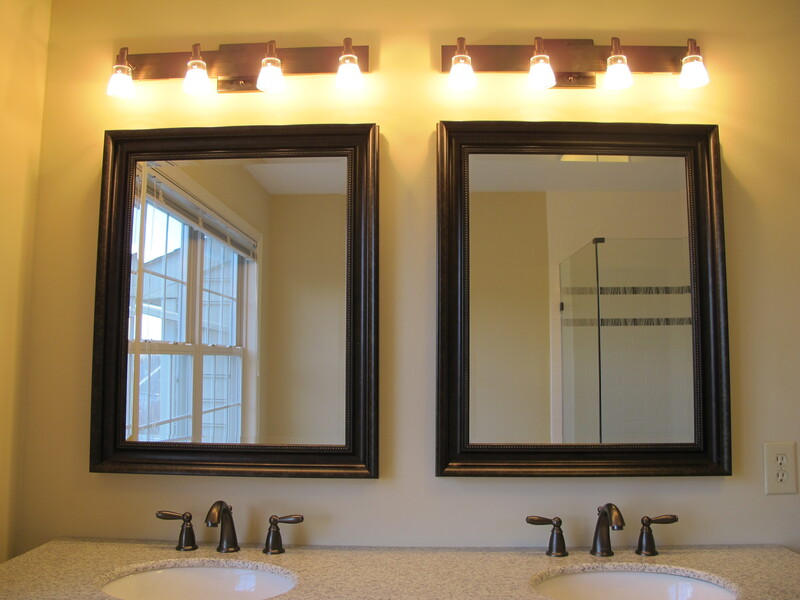 One way to give an older home a facelift is by replacing light fixtures! 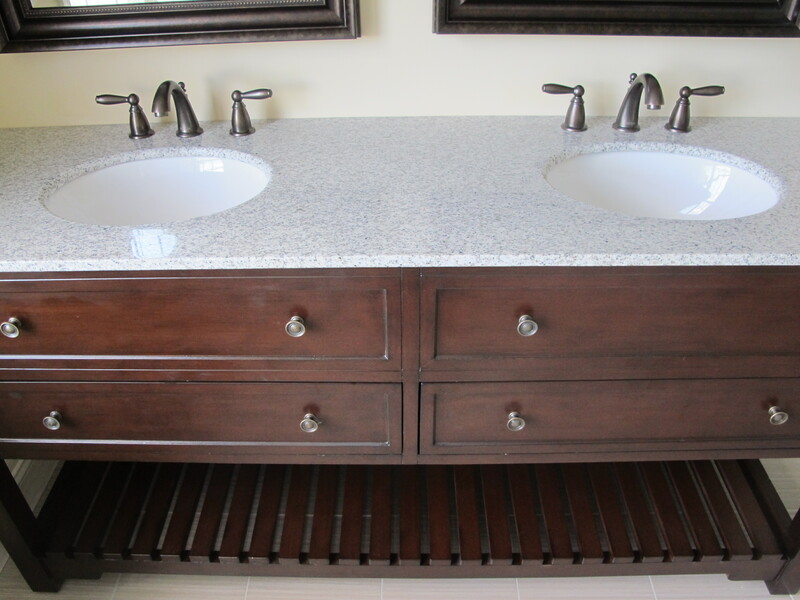 With Lowes, Home Depot and other retailers offering high-design pieces, its no longer necessary to spend hundreds of dollars on a single fixture. 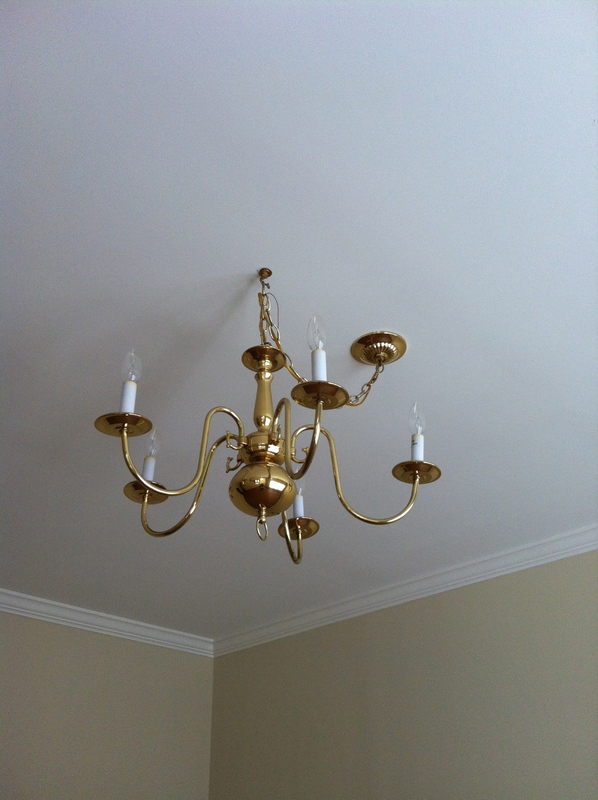 Check out how these new bronze fixtures instantly update an older home! I saw the below creation by confettisystems.com on a blog I read over a year ago, but it wasn’t until February that I attempted my own version with some crepe paper I found around the house. I originally made a strand with the reds and pinks and gold shiny streamers for valentines day, and added orange to create a year round color punch as a permanent fixture. Let me know if you want some instruction on how to create one of these! 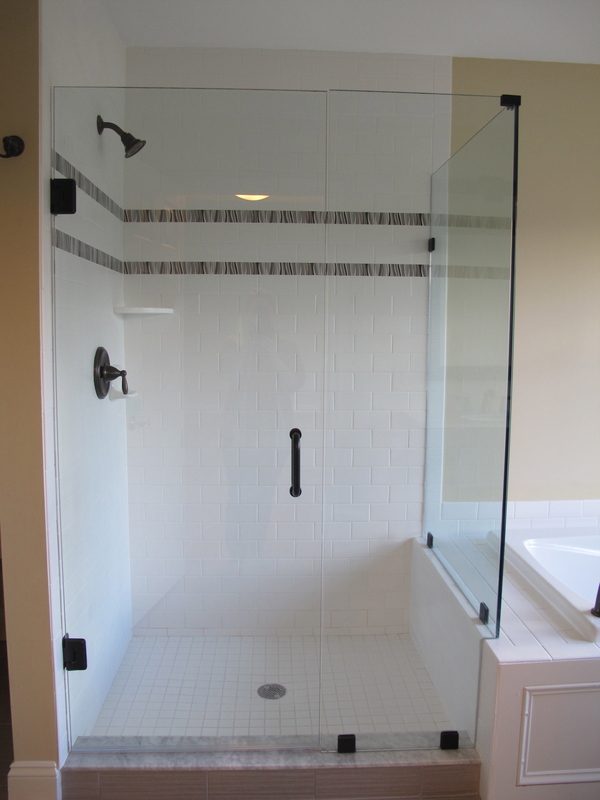 FROM BUILDER GRADE BLAH TO FABULOUS! In the fall I helped my dad update a town home he had built 16 years ago to get ready to list it. We did a total facelift of the home, replacing all fixtures, carpets, bathrooms and the kitchen and refinishing the hardwood floors. 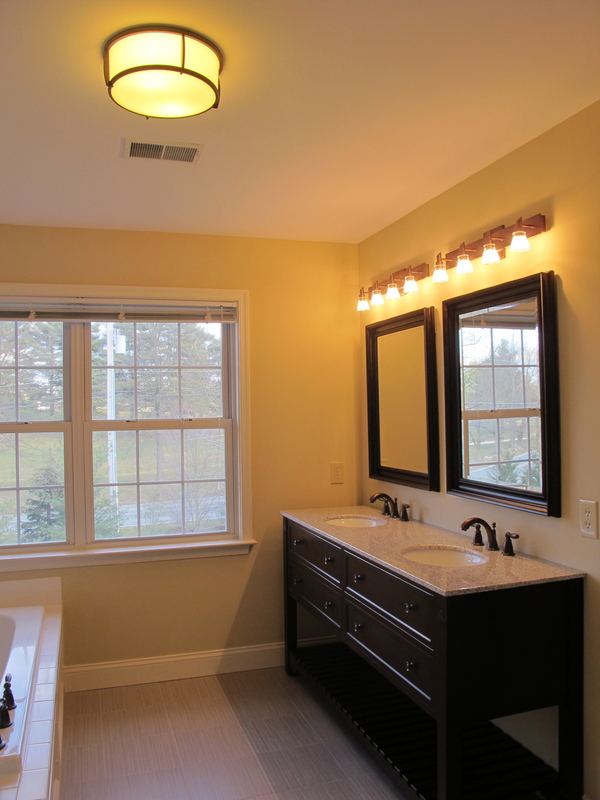 Check out what we were able to do with the master bathroom. 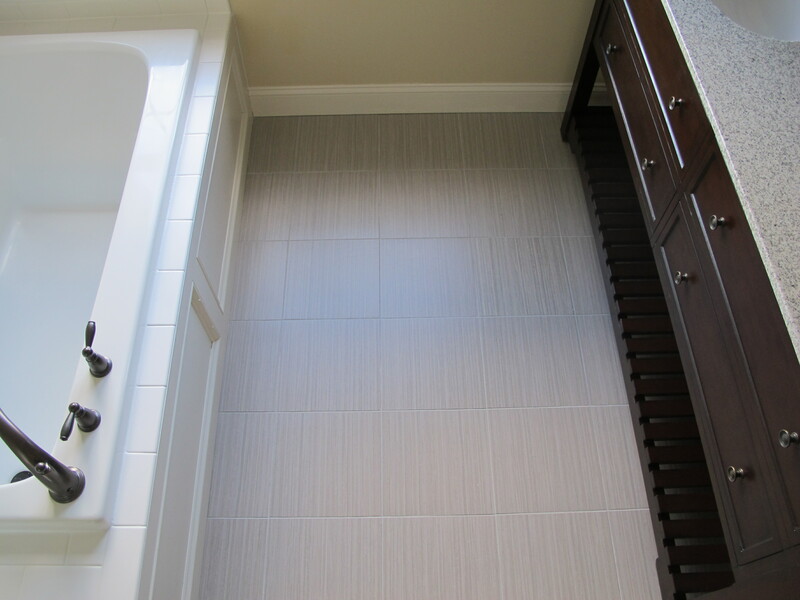 My dad’s longtime realtor, Cindy, and I were lucky to find a floor tile and shower listello that incorporated the brown, tan, white and bronze colors that really pull the bathroom together! I’ll be posting the rest of the house in the upcoming weeks! If you are interested in a 3 bedroom town home in Pheonixville, please get in touch- the house has just been listed. Before and Afters! I read the blog designlovefest.com pretty much daily. This week Bri posted her living room makeover courtesy of her friend, and interior designer, Emily Henderson. I love the bright colors, patterns, and plants! Spring inspiration. 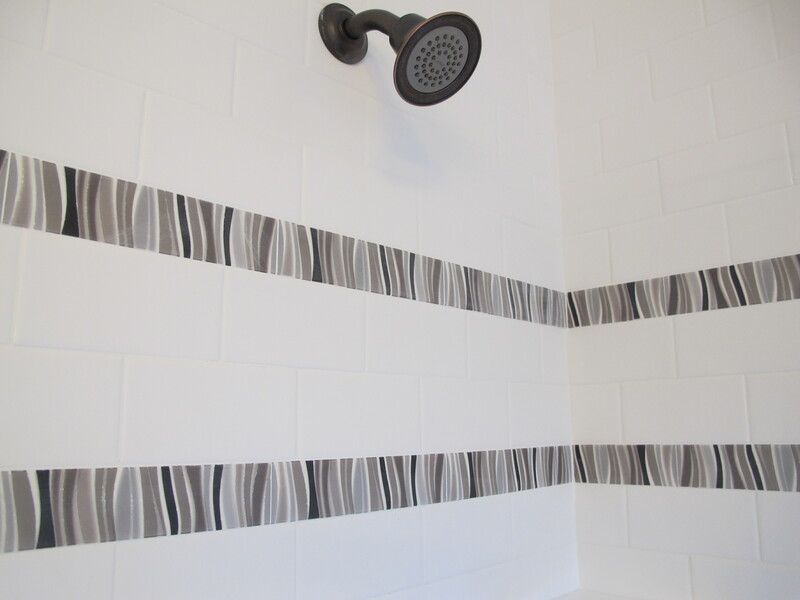 Click through the photo for more pictures and the post!